Washington: President Donald Trump will deliver his second State of the Union address on Tuesday night (early Wednesday morning UAE time). The speech was originally scheduled for last month, but was postponed because of the partial government shutdown, prompted by Trump’s demand that Congress pay for a wall along the southern border with Mexico. Presidents use the address, in a favourable setting and commanding national attention, to gain both political and policy advantage. This year, for example, Trump is expected to announce a plan to stop transmission of HIV by 2030. White House officials said that the president will also make calls for unity in a polarised age. If that has a familiar ring, it is because he made similar exhortations last year. But his audience in the House chamber will be markedly different, starting with Speaker Nancy Pelosi, who will be sitting over his right shoulder, and dozens of newly-elected Democratic women, many of whom have been deeply critical of the president, who will be seated in front of him. The Democratic response will be delivered by Stacey Abrams, who ran unsuccessfully for governor in Georgia last year but emerged as one of the party’s rising stars. The chamber will also be flush with declared and potential 2020 Democratic presidential candidates, including Sens. Kamala Harris, Elizabeth Warren, Cory Booker and Kirsten Gillibrand. Whether or not Trump mentions the 2020 campaign, it will be an important backdrop for his address. Trump will deliver his speech at 9pm Eastern time (6am in the UAE). It will be aired by all major broadcast and cable networks. Immigration policy dominated the president’s agenda during his second year in office and most likely will again during the third. Trump has consistently tried to make the case that there is a “crisis” — of crime, drugs and human trafficking — at the border with Mexico, an emergency that can be dealt with only by building a border wall. Trump is not expected to veer from his demands for billions of dollars in funding for border security, including some kind of barrier. Congressional negotiators from both parties are trying to hammer out a deal on border security, but Democrats have been adamant that they will not agree to money for Trump’s wall, and the president has been pessimistic about the chances of Capitol Hill coming up with an agreement that meets his approval. 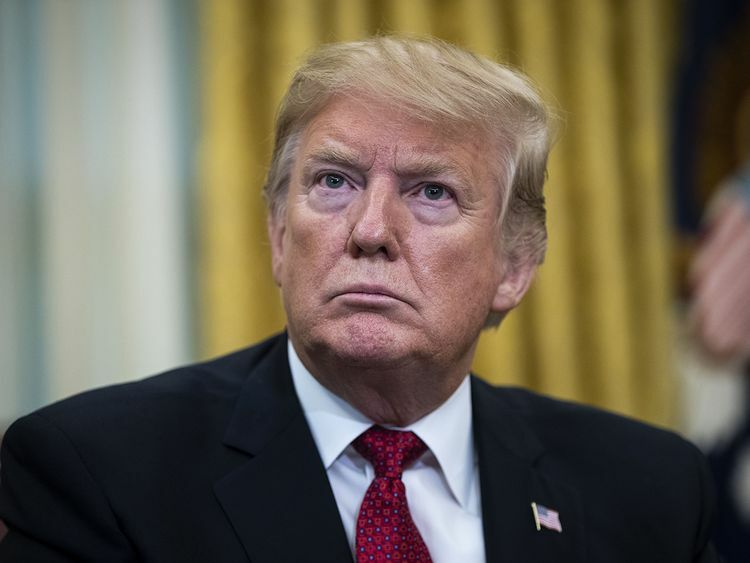 Still, he is not expected to use the address Tuesday to declare a national emergency, which potentially would enable him to construct additional barriers along the border using presidential authority. White House officials said the president is also likely to talk about abortion and the “fundamental importance and respect for human life.” Trump’s evangelical supporters, who fervently oppose abortion, have been the bulwark of his political base. He might also talk about China’s program of forced abortion and sterilisation, and perhaps even efforts in the United States to ease some abortion restrictions, such as a contentious amendment regarding late-term abortions being considered by the legislature in Virginia. Trump has called for a substantial withdrawal of troops from the war in Afghanistan, where the US military has been fighting for more than 17 years. But he has encountered uncharacteristic pushback from Republicans about taking troops out of Syria. In recent days, he has talked about keeping US troops in Iraq to maintain pressure on Iran, despite political opposition to the idea in Baghdad. He has also faced resistance from military leaders about drawing down troops too rapidly in Afghanistan, so the speech offers an opportunity to lay out his thinking to the American people. The president, as he did last year, will almost certainly make an appeal for an infrastructure programme and is likely to emphasise its effect in rural America, the home of his political base. Programmes to repair roads and bridges have strong bipartisan appeal, but so far, Republicans and Democrats have not found a middle ground. Presidents typically use the State of the Union speech to take credit for successes in the previous year. Trump will most likely talk about a robust economy, a low rate of unemployment, a tax cut he credits with spurring growth and his push to roll back federal regulations on business. Many economists say that the tax cut provided only a temporary stimulus, but few can argue with the continued growth in jobs, now at 100 straight months, or the unemployment rate, which was 4 per cent in January. Trump is also likely to say that the new trade agreements with Canada and Mexico, combined with his aggressive use of tariffs against China, have made the trade environment far more favourable to the United States. Congress has yet to ratify the trade pact with Canada and Mexico. But his presidency became no less polarising in the subsequent 12 months, and with the 2020 campaign getting underway and the special counsel’s investigation into Russian interference in the last election still incomplete, the chances that partisanship will ebb in the next year do not seem especially promising. The Constitution says that the president “shall from time to time give Congress information on the State of the Union.” From the days of Thomas Jefferson until Woodrow Wilson, presidents gave the address in writing. Wilson changed that tradition by delivering it in person, and it has evolved into a largely political evening. Members of the president’s party cheer lustily, while members of the other party often sit stone-faced. This has led some — like Mitch Daniels, the president of Purdue University and a former two-term Republican governor of Indiana, and Steve Israel, a former Democratic congressman from New York — to say that the State of the Union speech has outlived its usefulness and should be discontinued. Last year’s speech clocked in at 80 minutes, the longest since President Bill Clinton’s in 2000.